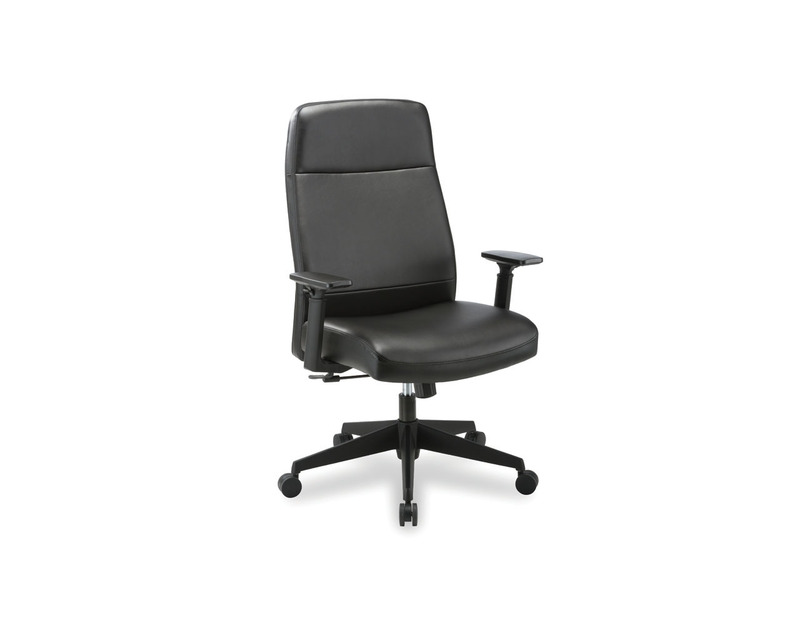 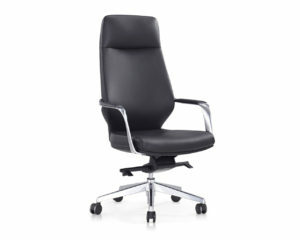 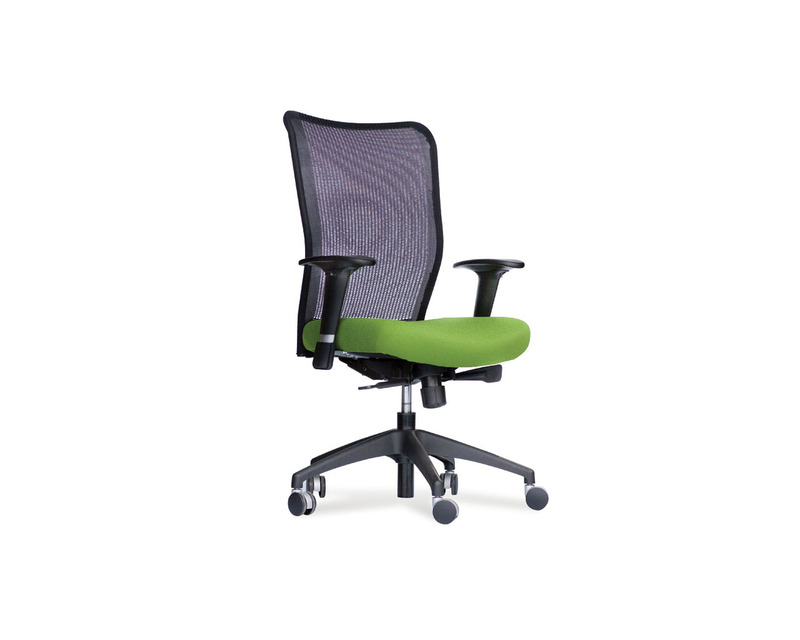 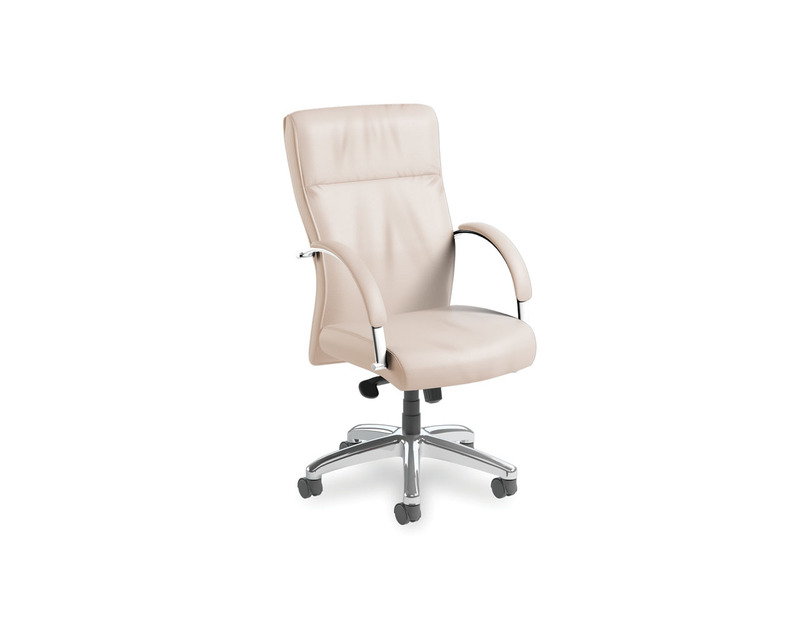 The Maxima II Mid-Back swivel chair incorporates design, comfort, and style with outstanding value. 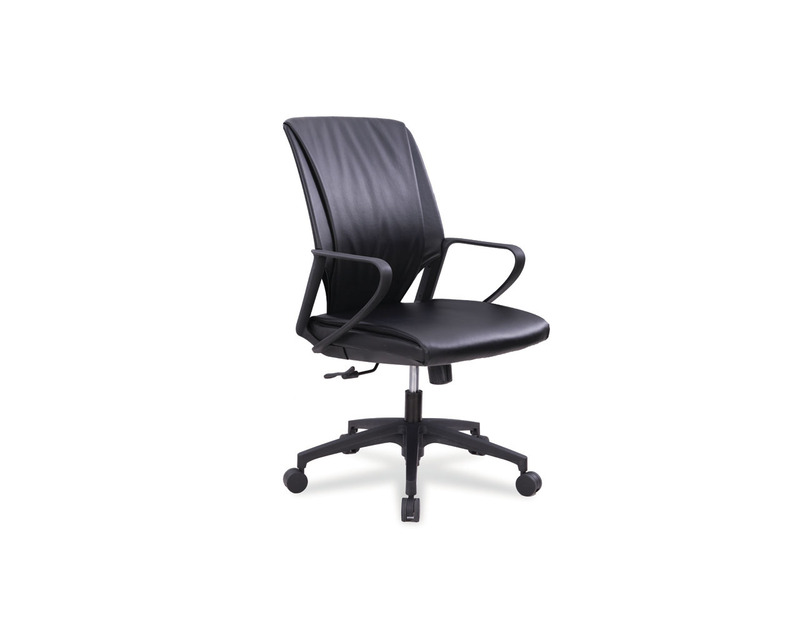 Features include pneumatic height adjustment, swivel tilt lock, and tension control. 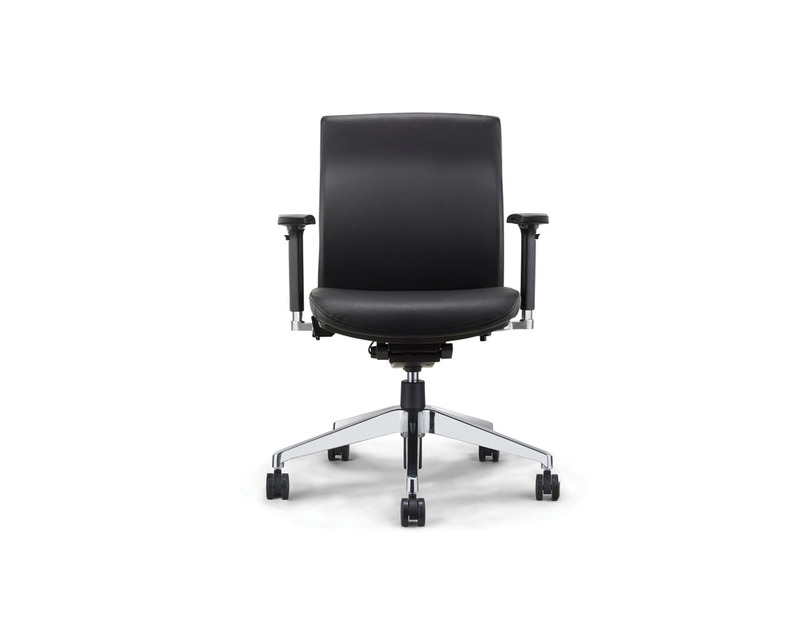 Stocked in supple Black bonded leather, the Maxima II brings European flair to your office or boardroom. 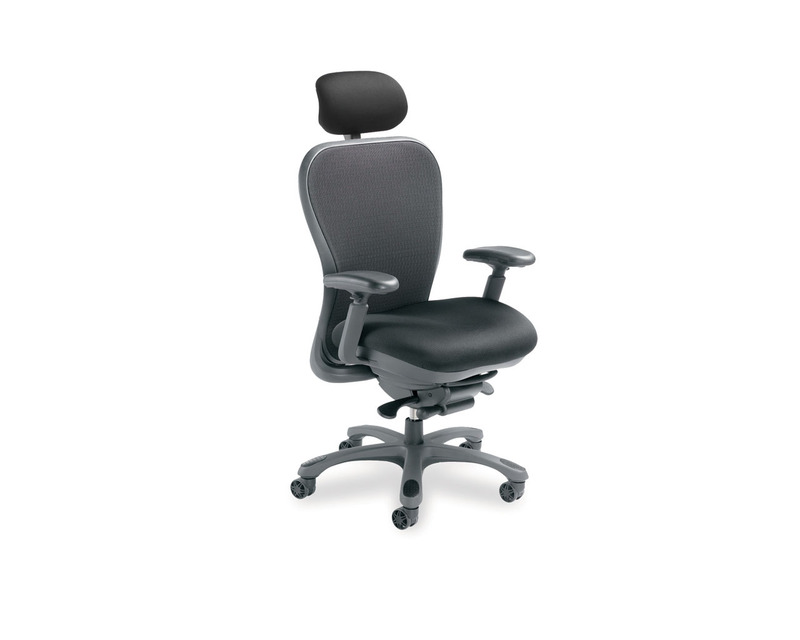 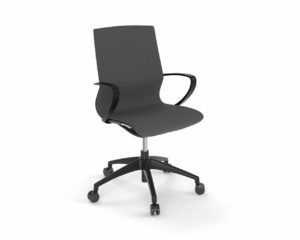 Max Back Height (Fully Raised): 43.5"
Max Seat Height (Fully Raised): 21"
Chair Width (with Arms): 22.5"